Thanks 🙂 Any tips to share? I’ve only been to Orlando. Enjoy the architecture and culture again and see beyond the ridiculous consumerism in American holiday celebrations! Believe it or not, I am not a big shopper in Paris. Cannot remember when I last bought new clothes… maybe it was in the US 😉 but I am excited about the outlet malls 🙂 Well, we would probably make two visits to malls –not that we would go every day! Art deco district is amazing. We didn’t really do Downtown Miami so maybe will check that too. I liked the architecture there too. Very modern but green too. Would like to check art galleries and Art Basel in Miami is going to be there too at the same time. And the sun. Cannot wait. It was such a humid, grey day today in Paris. How is the weather for you now? Completely jealous about Art Basel…enjoy and post pics please. We’ve broken records for snow and cold, then had a warm spell with rain that melted it. Just have a few inches now and many grey days. Check this out for our weather…http://www.mlive.com/news/grand-rapids/index.ssf/2014/11/buried_grand_rapids_snowfall_f.html. I love the snow because even when it’s a grey day, the snow brightens every thing! My only issue with winter is being cold for 6 months of the year. Happy birthday in the sunshine! I like winter too but I totally see your point. After all, I lived those winters during 20 first years of my life. I don’t think I could do it any more, at least not for that long, but I would like to have one or two weeks of REAL winter every year 🙂 At best, Paris has a handful number of days with snow, that’s all. You are right about the snow bringing light. When ppl say that the cold must be the most difficult thing about Finnish winters I always respond no, that it is the darkness especially during the winters that don’t have a lot of snow. Thanks for the wishes, cannot wait to see the sun! Wishing you a wonderful holiday! 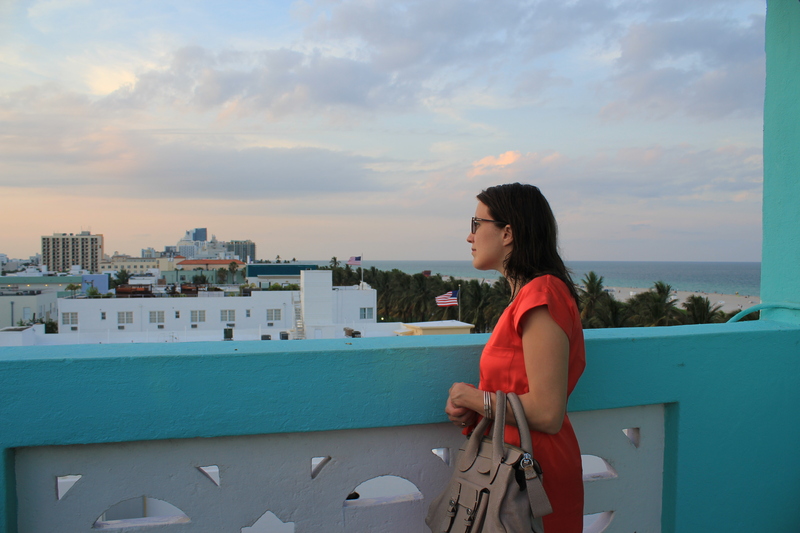 My daughter and I had a few day getaway to South Beach a few years ago. I loved the boardwalk where one could walk endlessly along the ocean. Thanks Sue! Anything else particular that you liked and could recommend? I cannot wait to see some sun. It was such a rainy and grey day in Paris today. We were there in off season so the restaurants often had very good deals if you ate early. I do recall that the prices, especially for deinks, were not on the menu . Be sure to ask. We had two mojitos at $25 a piece! Painful learning. I have to say that I didn’t like Miami as much as I thought I would… I liked Orlando better. But I really want to go back and give it a second try 😀 do go to the Bahamas and spend a few days there if you can!! Enjoy and have a safe trip! See, for me it was the opposite! Let’s see how it goes this time. Why didn’t you like it? Where did you stay? Did you stay in the Bahamas or was it a day trip? I dont know, just the atmosphere… I stayed at the Intercontinental Hotel, in front of the beach. I just didnt find it so awesome as people say. But I want to go again and do different things. You stayed where all the big resorts are? 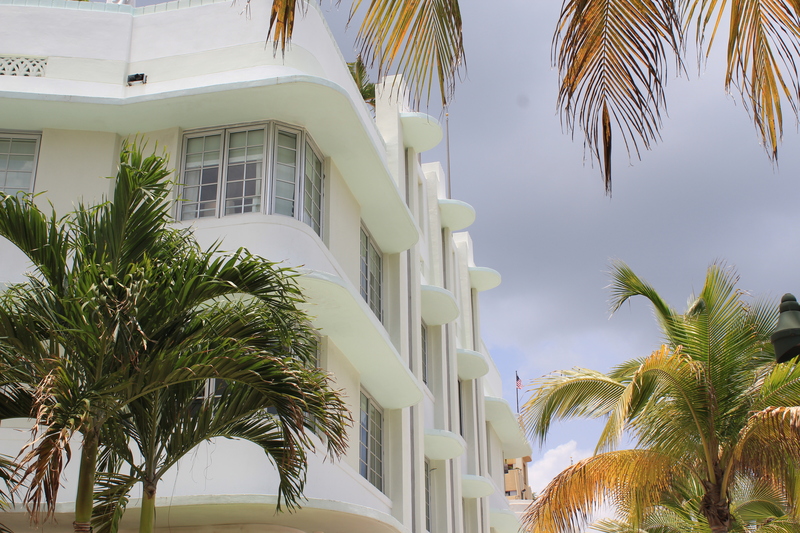 We stayed right in the heart of the Art Deco district (South Beach) and everything was right there. This time we may stay where the big resorts are, at least for a few nights, so let’s see if we think differently! Awesome!! Let me know what you thought 😀 Im sure you will love it!!! Started packing already? 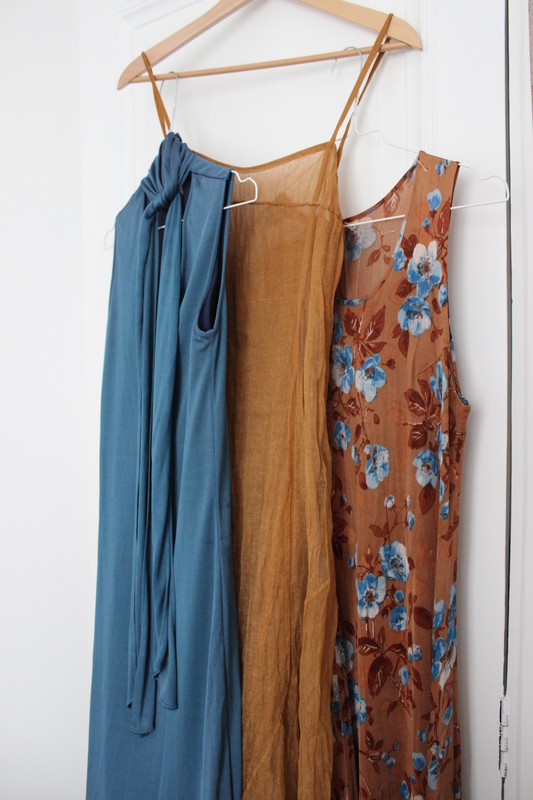 Sort of, meaning threw a couple of dresses onto the sofa (to be packed haha). Bought a cardigan to wear in the airplane so that I don’t need to carry a winter coat. Just came from the dentist, not so nice. hahaha oh my… you will get there! Ohh no, I hope it wasn’t painful!! Thanks!! Hope your week is going along well! It is cold in Europe, right? Here a mixture of rain, clouds and sun, but 23-27C so ok 🙂 Except that the wind is really too strong!! Sooooorry for taking time to respond! I am in shock since returning yesterday. What is it with this weather? I don’t remember Paris being this depressing in December!!!??? Have a great week!! Did your Xmas plans clear out? You are staying in Munich for the holidays? My parents arrive on Fri and the flat is a total mess…. hahaha I know, its the same with me!! Good luck with unpacking…. I dont mind packing, but I have to confess that unpacking isnt my thing!! We have 3 hrs before my parents come hahaha.. not looking good… I absolutely HATE arranging stuff! Ah! Enjoy good ol’ America for us! PS loving your dress choices too! Loving it here! 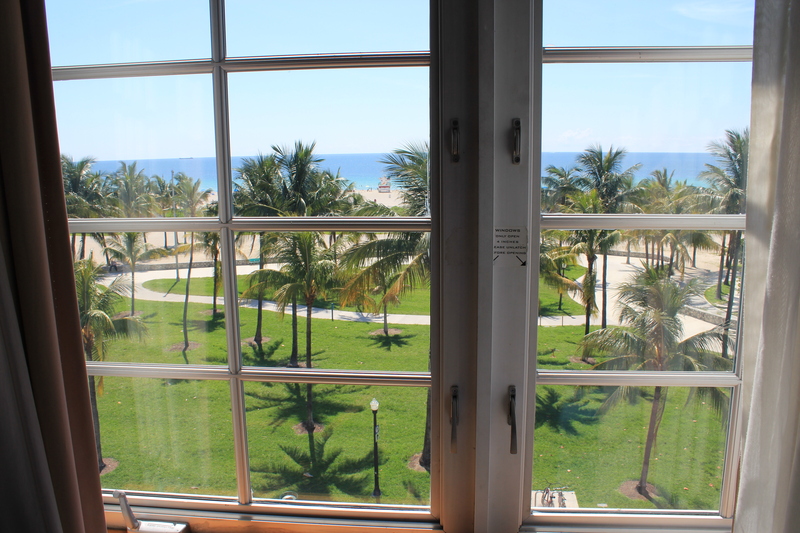 It is just so easy here… compared to France and Europe… Miami is as great as ever. Art Basel and other events have started so the crowd is an even-more-than-usually interesting looking 😉 And the food! Eating South and Central American and Cuban, something Paris is not best at. How is life in Korea for you? Enjoy your lovely stay at Miami…cherish every bit of your stay there…after all it’s the weather, food and people that make a place for what we want to visit…cheers!!! Thank you Nihar and sorry for not responding earlier but I took some time off from Internet! And not only it is humid and dark in Paris but also we have outside renovations going on in our building so we really live in the dark!! I guess you do have a lot of sunlight 🙂 ? What is the temperature like at the moment? Yes, it is always difficult to get back to our routines after such lovely breaks…breaks are taken to re-energize ourselves to do what need to be done daily, certain tasks are mandatory but routine in nature, we cannot escape this part of our living as we love the adventure and venturing into new things in life. No, here the weather is cold, this is imminent peak winter…hide and seek by sun, as sky remains little cloudy…but when the sun shows it faces we all enjoy that warm sunlight. You too have a great week ahead…and lets continue to have such good conversations. You are absolutely right but I always get depressed when I get back home from travelling… Especially when I come from India!! I find that India is a very balancing country that gives a lot of energy. It calms one down. The US is obviously very different but also a very positive country. Even my husband (who is French) is starting to agree that the national hobby of the French is to complain… And I find it so tiring and so not necessary!! Makes daily life (which is already difficult enough at times) even more difficult for no good reason…. Enjoy the bright skies for me! Take care. I agree, each country has its own flavours to offer and it is upto us to go what goes with us…US & India, has something common but many things different to offer…if you like spiritualism, yoga, meditation…India has many things to offer in this area…US of course a whole lot to offer in terms excitement and enjoyment..
Not yet visited France, a very beautiful place, a must place in the agenda…complaining I must say it equally high in India..
Do you think Indians complain a lot? Despite the poverty ppl seem content. Partially it must be the result of Hinduism? I have very rarely seen any kind of aggression and frustration. I have never felt unsafe either. Of course there are places that look and seem very busy, like big cities where traffic is horrendous, but somehow if one manages to look beyond, there is much more. Without naming countries, then there are places that have aggression in the air and it affects the daily life a lot. As in many countries (everywhere?) there is a big difference between the state/government/structural behavior and the people… State should be there to facilitate people but especially during the times of crisis it often does the opposite! Hi Miia…just realize I missed this post on my reader – found your post on your FB page instead!! Soooorry for taking such a long time to respond! No worries, my Reader acts funny very often and it has happened several times that it is out of order during few days… Maybe bc of the updating they were doing? Head down to Key West and enjoy the sunset with a Margarita in hand 🙂 More importantly enjoy the sun and warmth! Hey and sorry for the belated response! Had busy last days in Miami but back in Europe now. Do you know FL well? Hei Miia, miten oli matka Miamiin? Kuvat näyttävät hyvin mukava.Toivottavasti olet hyvin! Kiitos kysymasta! Matka meni hyvin, mutta olisi voinut olla lampoisempaa. Olen ollut vahan kipeana mutta yritan taas pian palata blogin aareen…. Onnellista ja tervetta uutta vuotta sinulle!! …ja kiitos paljon sinun tuestaan Suomea! Opin suomea viimeisten kaksi vuoden aikana. Oikeastaan huvin vuoksi kielikurssille vaimoni kanssa. Ja mitä alueella olet kotoisin? Vaimosi ei siis ole suomalainen? Olen kotoisin Lansi-Suomesta ja asuin muutaman vuoden Helsingissa ennen ulkomaille muuttoa. Ei ole suomalainen… Lansi-Suomesta? Olemme mennyt muutaman päivän Tamperella ja Vaasassa.